A tweet including possible live images of the upcoming Galaxy S10 Plus has been submitted by the well-regarded leaker Roland Quandt. 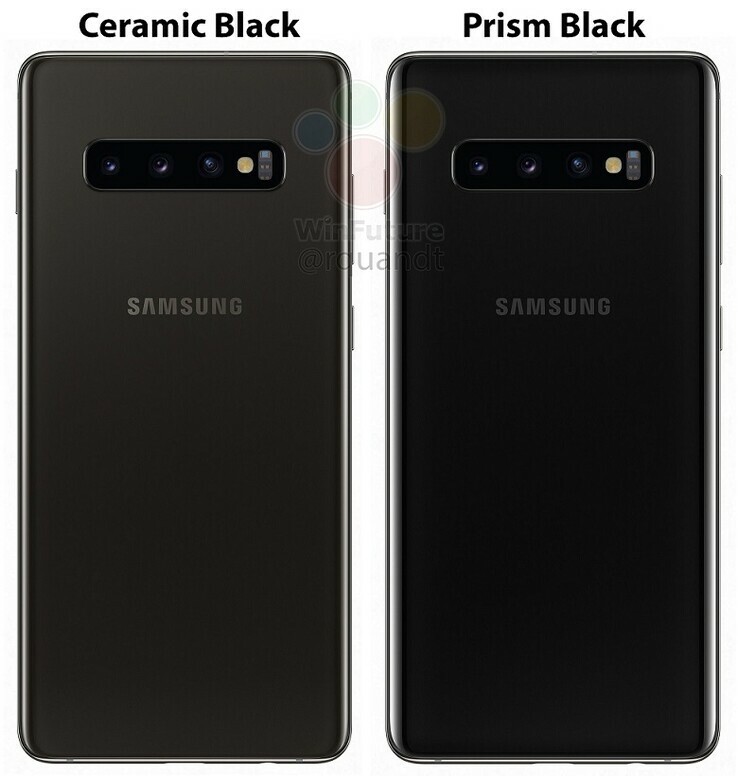 Two versions of the same phone in the same color (black) are shown. However, variations in their shade supports descriptive text that identify them as the rumored Prism Black and ceramic black SKUs of this device. The respected leaker and WinFuture contributor Roland Quandt has posted a Tweet claiming to show one variant of the Galaxy S10 line, which is rumored to have more than the usual 2 variants this year. This one pertains to the rather more conventional S10+ (or S10 Plus), two separate versions of which are shown in the image. Both devices are also finished in black. However, this is where the similarities end. 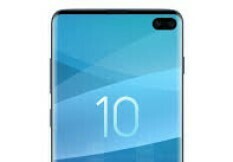 The Galaxy S10+ is rumored to have a rear panel made of glass, as with its predecessors over the last few years. One variant of this design is rumored to be termed Prism Black this year. Quandt reiterates these leaks in his new tweet, right down to the new name. However, the other phone in the image may swap the glass for ceramic. This possibility has also only been corroborated in leaks thus far. Some of this material also indicates that SKUs of the Samsung Galaxy S10 Plus that come with this backing will also have as much as 12GB of RAM. It appears to lack a fancy marketing name, however. Quandt postulates that, as one device shown in his new image has a different (and arguably rather duller) shade of black compared to the other, it is indeed the 'ceramic' variant that may be unveiled at the next Unpacked Event. Should these leaks prove reliable, the Prism Black may start at around US$1145 at launch. The ceramic variant, on the other hand, may have an extremely premium price-tag to go with its specs: between US$1500 and US$1700, according to various leaks.